Imagine a coffee cup that’s not for coffee and it has no bottom. It’s my latest invention. I turned a coffee cup into a cup for coughing and sneezing. It’s called a Coughy Cup as in coughing cup. It’s a play on words but hardly child’s play. The Coughy Cup looks like a standard Starbucks’ paper coffee cup with a plastic lid but it’s the inside that matters most. 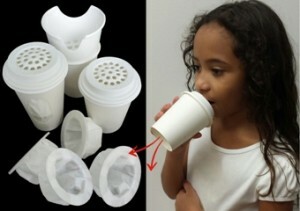 The Coughy Cup captures, contains, filters and kills 99.9% of germs and viruses. This means the germs and viruses stay in the cup and not in the air, on your hands, body or others. How? By using an antiviral and the same face mask filters used by doctors during surgery. My name is John Delatorre. I was once a TV weatherman for ABC in Sacramento, California, Corpus Christ, Texas, El Paso, Texas and a few other cities. I spent much of my time visiting schools teaching kids weather and encouraging them to stay in school and away from drugs. Today I’ve taken on a whole new role in my efforts to help children. A few months ago, my wife and I were watching Shark Tank; the ABC reality show. Out of the blue, my wife says to me, “You need to invent something to help children.” My initial reaction was to say it’s not easy to think of things to invent and that it takes time. My next response gave way to its creation. I told her that I would pray about it and see what God had to say. I did not pray at that moment nor later that night but 24 hours later I did. My wife was out of town that night so before I went to sleep I closed my eyes and my exact words were, ‘Okay God. You heard her. What do you got?’ A half second later I pictured two words; Coughy Cup. I immediately knew what it would be. There was no doubt in my mind. I was blown away. I was sure God had blessed me with an amazing gift. That night I began my research and the next day I started writing my fifth patent application. When my wife returned the next day, she agreed God had given me a great idea. My initial reaction was to draw up every crazy complicated cup I could think of. Thank goodness that thought process didn’t last long. I quickly understood that I had to manufacture each cup for as little as possible and I had to be sure my cups would be socially acceptable. So, what is the cheapest form of a coffee cup? Paper, right? Paper coffee cups and plastic lids can be made for pennies and people are very comfortable walking around holding them. They’re seen everywhere from meetings to work and play. 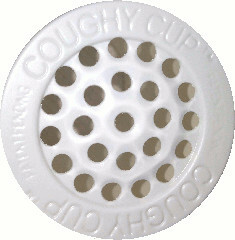 I also understood that the name Coughy Cup easily described how the cup should be used so that was a huge advantage. With this new knowledge, I set out to design a common coffee cup with a plastic lid. The only difference would be my cup would have no bottom, a bunch of holes in the lid and a filter. But, the cup was the easy part. The key to the success of the Coughy Cup would be the filter or as I like to call it, Coughy filter. My journey began with understanding how to avoid germs and viruses. I found myself studying how surgical face masks worked. I knew there were a lot of face masks; some better than others. I soon found out that some materials used in face masks make breathing more difficult. My filters had to make breathing easy. Consider what it’s like to cough. You expend a tremendous amount of air after each cough and immediately your body requires you to inhale deeply. The breathability of my Coughy filters makes it easy to inhale after each cough. It also turns out the best face mask filter has a bacterial filtration efficiency of 99.9% and a particle filtration efficiency of 99.9%. But I didn’t want to only trap the bacteria. I wanted to kill it too. I knew other products were killing 99.9% of germs & viruses. So, I figured I’d find a way to apply this same technology to my cups. I am happy to say I found a solution, one that will remain a secret for now. Soon after, I introduced the cups to the world of social media using Facebook, Twitter, YouTube and launched two sites of my own: www.CoughyCup.com and http://coughyt.wordpress.com. The response to the Coughy Cup has been amazing! In a few short weeks, thousands of teachers, parents, doctors, nurses and even Howie Mandel are following my work and appear to be my greatest advocates and why not? They know germs and viruses better than most. So now the word is out! One of the first questions I often get is people wondering whether I expect them to walk around coughing into a cup. The question always makes me chuckle. You can certainly use my cups while walking around but that’s not how I expect people to use them. My cups are primarily for confined areas where people are expected to sit for long periods of time. 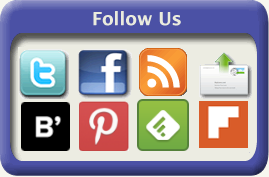 Places like schools, school buses, airplanes, daycare centers, nursing homes, prisons, doctors’ waiting rooms and hospitals. Imagine you’re on a road trip and someone in the vehicle gets sick? Would you prefer they be given a Coughy Cup to reduce the chance of others in the vehicle getting sick? Imagine you’re on a plane and the person next to you can’t stop coughing. Would you prefer the flight attendant hand the passenger a Coughy Cup? I’ve had people tell me they plan to buy my cups to give away to anyone around them who start coughing and sneezing. My primary goal is to first get my cups into the hands of young school children. They represent a major line of defense in battling the spread of germs and viruses. If my cups can help reduce germs & viruses in schools, that means fewer kids and teachers missing school and healthier parents who don’t miss work. Studies show that ativan canada, on average, 40 percent of teachers in New Jersey’s Camden City Public Schools are taking sick days compared to only 3% absenteeism among the average American worker. I believe the CDC will one day consider the Coughy Cup to be a huge help in so many ways. The Centers for Disease Control (CDC) and the National Institute of Allergy and Infectious Diseases (NIAID) are constantly seeking ways to better understand, treat and ultimately prevent infectious diseases. The numbers of people affected in the U.S. alone are staggering. The average child can catch between 6 to 12 colds every year. Colds cause children to miss 22 million days of school every year. More than 1 billion colds and more than 30 million flu cases occur every year. Almost 1 million people have died related to influenza in the U.S. in the last 30 years. Ultimately, I would like to see a dishwasher-safe, reusable Coughy Cup in every child’s book bag. Teachers would be able to use the cups as a way of instructing children to perform one common behavior and a way to monitor who’s sick in their classrooms. They would always have their cup at the ready. The shelf life of my Coughy filters is more than two years and they’re in air tight sealed envelopes. The child would simply take the filter out of the envelope, snap it to the lid, place the lid on the cup and cough or sneeze. It’s that simple. So what’s my plan for getting my cups into schools? I’m hoping to recruit the help of pharmaceutical companies, cough syrup manufacturers and the makers of tissues. It’s a win/win. They get good PR and the kids get free cups. I also hope to convince the airline industry to offer my cups to their passengers, especially international passengers. Consider the Middle East virus. The bird flu is only a plane ride away. The U.S. government is very concerned about the likelihood of a pandemic flu. It’s why they are stockpiling needles and syringes to be shipped to 10 receiving stations throughout the U.S. The purchase order can be viewed on their FedBizOpps.gov website. But getting the cups into the hands of children and airline passengers unfortunately won’t be possible this flu season because I still have a lot of paperwork to do. Believe it or not, the U.S. Food and Drug Administration (FDA) consider the Coughy Cup to be a medical device. The FDA requires what they call Pre-Market Approval. This means any claims I make (i.e., kills 99.9% of germs & viruses) must pass an FDA evaluation before I can sell my cups. It’s a whole lot of government paperwork and a min of $9,500 to get there. Still, I have no doubt the FDA will certify my cups. The Coughy Cup might sound too good to be true but it’s not because the science and technology works. In the end I expect the Coughy Cup to be by far my most successful invention. That success may include winning the right to sit on the shelves at Wal-Mart and Target. I recently entered Wal-Mart’s “Get on the Shelf” and Target’s Simplicity Challenge contests. 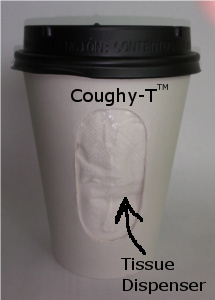 If all goes as planned, the Coughy Cup should begin showing up in schools and airplanes by next cold and flu season. I believe once people begin seeing the Coughy Cup in use, it will become better understood and more socially acceptable. So, pass the cup, not the germs because NOT sharing is caring. Don’t put personal items like backpacks, book bags, books, coats or similar items on the floor, especially public restroom floors or on kitchen counters or tables at home as this may further spread germs. Leave your phone in your bag or pocket when entering restrooms either at home or public. Children should never share food in school, especially during cold and flu season. If it’s necessary to share books, remember to never touch any portion of your face until you wash your hands and even then try to not touch your face. Colds usually go away on their own in 3 to 5 days. Colds are usually contagious in the first 3 days. A cough that last more than 5 days may be a sign of a sinus infection or pneumonia. Pay serious attention to a cough that lasts more than 7 days. A chest x-ray may be needed. If a cold does not go away after 7 days, your child may have a bacterial infection and need an antibiotic. Cold and flu symptoms can mimic one another but the common cold rarely includes a temperature over 101 degrees. If your child’s fever is over 101 degrees, keep him home. A fever is a sign your child is fighting an infection. The American Association of Pediatrics (AAP) recommends giving a child plenty of fluids and increasing the humidity in the room as the best way to relieve a child’s cough. Hydrate with popsicles, watered-down juice, flat ginger ale and chicken soup. Open a stuffy nose with 2 to 3 drops of saline solution in each nostril. Don’t worry about a child’s daytime cough. Coughing helps dislodge phlegm and reduce congestion. Persistent coughing, especially at night can be a sign of asthma. Honey has been shown to be a natural way to soothe a cough. The risk of botulism makes honey unsafe for children under one. A coughing child having difficulty inhaling may be a sign of whooping cough (pertussis). Rest may be the best medicine to prevent sickness but a sick child needs even more sleep. Normal sleep for children is 8 to 12 hours every night. Little One is on the move!!! Uhhhh….where’s the dog??? HI! I found you via the SITS tribe! LOVE this idea. My daughter currently has a cold and i”m spending all day saying “cover your mouth when you cough” This would be much better!!! Thanks! Glad to hear you approve. Check out our new lid designs for zero leakage on our website CoughyCup.com and I invite you to follow us on Facebook and Twitter.